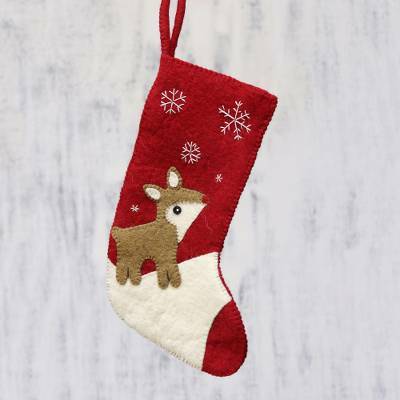 Hanging from the mantel this holiday season, a delightful stocking is handcrafted of wool felt. Indian artisan Rajesh Gehlot designs the stocking, crafted of wool to depict a little reindeer that is entranced by the embroidered snowflakes. Such a sweet and beautiful stocking for your loved one!